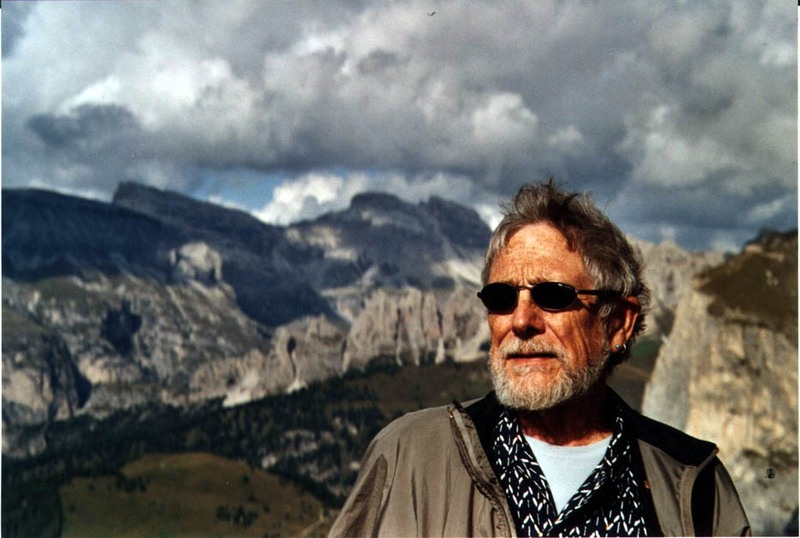 In December 2006, I received a request for a commission from the Galax Quartet for songs for the contralto Karen Clark and Baroque string quartet based on the work of the translator/poet Gary Snyder. This was something new for me since the Baroque string quartet uses a viola da gamba rather than the more modern viola and tunes its A to 415 HZ, about a half-step below below the present tuning pitch, A 440. Nevertheless, the piece can also be played by a modern string quartet. The piece was premiered in 2008, on the 50th anniversary of the publication of Snyder's translation of Han Shan's Cold Mountain poems, as well as his collection Riprap which marked the beginning of his impressive career as one of America s foremost poets. The performance took place as part of the Old First Concerts series in downtown Berkeley on June 4, 2008. This Bubble of a Heart sets five Snyder Poems ("For a Stone Girl at Sanchi" ; "Piute Creek" ; "New Moon Tongue" ; "second shaman song" ; Regarding Wave") set off by instrumental interludes and preceded by a prelude. The name of the piece and the instrumental pieces are taken from lines of the five poems. Here is the program listing. Song: "For a Stone Girl at Sanchi"
Interlude: shaman dance Song: "Piute Creek"
Interlude: "in nerve and muscle"
Interlude: "light flies across it"
Snyder is also well known as a prominent American Buddhist and his poetry reflects this orientation on many levels. Having much affinity with the Buddhist world-view, I tried to bring out these Buddhist references in the text setting and via the structure of the piece. The first poem reflects on the stupa at Sanchi (India) and the figures carved into the gates leading to it. I have visited this Buddhist site and therefore I recognized immediately the figures and images in the poem. It refers to the history of all peoples both in the large and small (for instance, the huge inverted bowl of the night sky and the seed). The second poem, "Piute Creek" treats mediation, or attention, and the dropping away of body and mind. After meditation is over, the person leaves the creek. Now the natural word impinges, and another sentient, but non-human being, the cougar, dominates the scene. "New Moon Tongue" concerns nature as it is without human (or social/cultural) intervention. The deer is a Buddhist/Hindu image. In the Jataka tales, a deer sacrifices itself to hunters for the safety of the herd, or to save it's children. The deer is wild but peaceful, and, for me, represents the most intimate connection between people and nature. "second shaman's song" is the most complex poem, having to do with the resurrection of the decaying dead body of a medicine man and the place where it has been found. The poet is also the shaman who makes connections between the living and the dead. Dancing with decay seems typically Buddhist. In Theravada practice monks are often taken to cremation grounds to view the half decayed and burned corpses to illustrate the impermanence of the body. Also, in that practice dancing is prohibited as frivolous. Yet, in later Buddhist practice--especially tantric practice--dancing, decay, and the like are ways to reach enlightenment. All things are given, rather than repressed. This is said to be a quick way to get insight, but also very dangerous and must be monitored by a guru. This poem deals with both sides, yoga (yoke) and release. Like "Piute Creek", the final poem "Regarding Wave" invokes a meditation session and the consciousness it brings. "Regarding wave" is a nice pun, do we or the wave regard? Here, according to Snyder, the poem is from the point of view of the Bodhisattva of Compassion, Kuan-yin; it's a poem for Kuan-yin's way of seeing the universe. There are two sources for the music's material. First, a cycle of 29 nine notes that contains all twenty-nine of the four-note harmonies (chords) overlapped. I used cycles like this in some recent pieces like my outdoor piece Oracle. The other source consists of unordered sets; it is a complex of four harmonies or chords: the two all interval tetrachords and the eight note chords which are their complements. These eight-pc chords include all 29 tetrachordal harmonies. This enables me to interlace the 29-note cycle with the four chords. The all interval tetrachords are the basis for the vocal part (except in the last song, where the soloist gets to sing with the eight-pc set-classes). This means that her part is different from the instrumental parts and doesn't have to use many different notes often--but it includes all intervals--just like the larger chords and the 29-note cycle contain all the tetrachords. I think of the cycle and four chords as a musical mandala that undergirds the musical world of this setting of Snyder's poetry. In the music, I try to get at the stillness, irony, and complexity of this wonderful poetry. The voice is a "wife" to the music. Separate yet intimate. This is expressed by the way the endemic musical materials of the voice intertwine with the ensemble and especially the viola da gamba part. The principle of embedded complement (a technical term in atonal music theory which seems self-contradictory at first glance) captures the way this poetry makes its mark. The term characterizes the way I structured the music as I mentioned above. Given two complementary chords, the larger may contain a transformation of the smaller within it. This can be brought out in composition. So what is within is without, just like in the state of mediation or in enlightenment. But, as in the poetry, there is an irony, for it is a transformation of the smaller complementary set that is within the larger. Thus the term "embedded complement" is still contradictory on the literal level--just like the wife and cougar in the poetry are in the end neither within the mind nor its thoughts. This inherent Buddhist problematic is what motivated my choice to use embedded complements in This Bubble of a Heart.